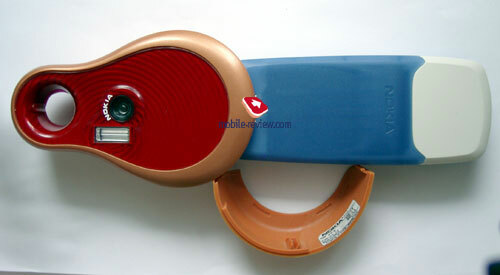 Nokia continues experiments with accessories; some of them are resulted in Nokia Fun Camera. The calculation of the developers was simple; the device is aimed to young people. It offers them shooting function, which misses in their devices. The camera could be used without the phone on the contrast to other accessories of this kind. On the other hand such advantage becomes a shortcoming, as the developers have tried to make the device handy to avoid too small dimensions. So, the camera have rather big size (91.5x58x24 mm), and weighs about 90 gr. 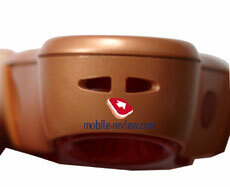 As it has been already told the device is aimed to the young people, hence, it has bright case colors – red and orange. 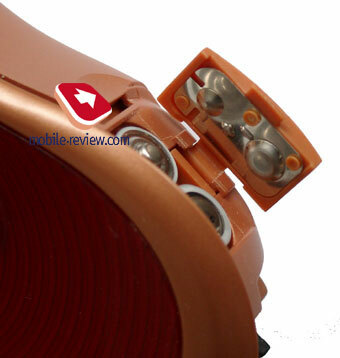 The camera is compatible with Pop-Port devices, it has 1Mb built-in memory and also built-in flash. It’s impossible to enable manual flash mode, it operates only in auto mode, when the illumination becomes less than 120 Lux, but you can also disable the flash at all. The effective range of the flash is up to 1,5 meter. The resolution of images is VGA (640x480 pixels), 3 compression levels – Photo (60Kb per image), Higher (32Kb), Lower (15Kb) are available. You can use 1 effect when shooting, it is single. The image shapes in a round frame. Nothing special. According to the manufacturer the camera is capable to store up to 60 images with low quality, up to 30 with high quality and up to 15 with photo quality. The aperture in construction of the camera is used as a viewfinder, you can also insert optical lens here (included into standard kit). 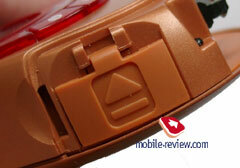 The camera is used separately from the phone, so, you can’t use phone’s screen as a viewfinder. Camera connection to the phone starts with transferring images to the handset. It’s possible to use countdown timer for shooting yourself. 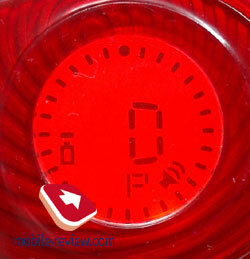 On the camera’s display you can see different information: charge level, amount of residuary images, image quality. Two AAA batteries are used as a power source. It’s impossible to transfer images from camera directly to PC, you should use the phone. The camera’s memory size is greater than the same in some phones, so you should do this operation by portions. Transferred images are not removed from camera’s memory, it’s necessary to do this manually. Images from camera can be used for creation of MMS-messages (after transferring to phone). You should remember the images with Photo quality are not suitable for such purpose. 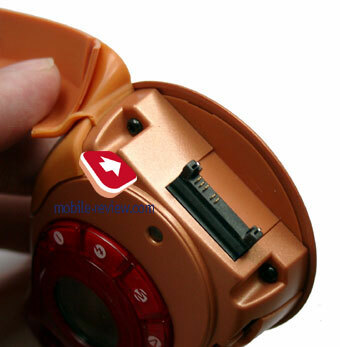 Images with Higher quality are not available for MMS-messages in Nokia 7210/6610. The quality of made pictures is rather poor. You can make sure of that by viewing this example. This is one of the best images, others were worse. As a whole, the quality of images on phone’s screen is not very high. The device costs about 90$, it can’t be named a good purchase. The real cost of the camera shouldn’t exceed 30-40$, but even in this case it is rather expensive. Judge for yourself, if the phone costs about 150-170$ it is not logical to pay up to a third of its price for the camera with minimum set of functions. 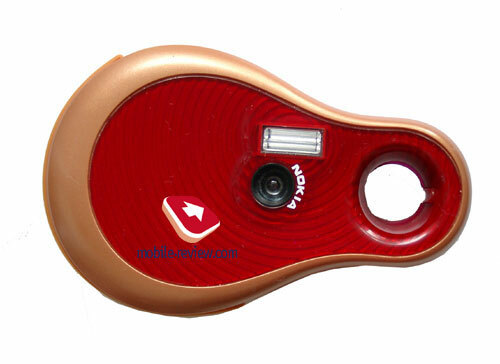 You can buy separate digital camera with such shooting quality, compact dimensions and low price (20-25$). 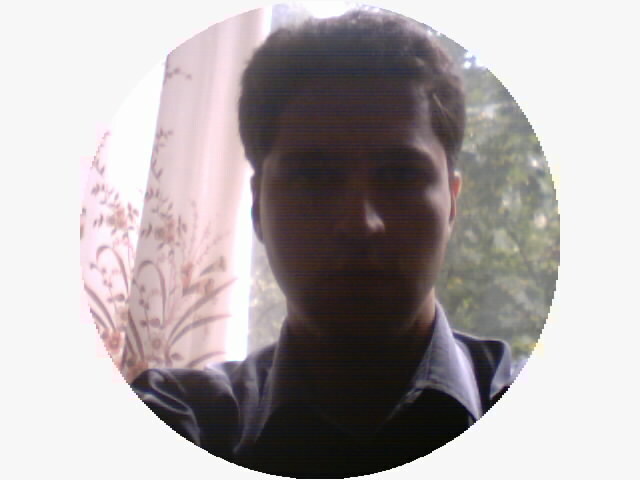 The only defect of such cameras will be the impossibility of transferring images to phone. The massiveness of the camera is a shortcoming too. Look at the phone with connected camera. Taking into account the appearance of mid level phones with built-in cameras Nokia Fun Camera is not worth buying. The camera built-in Alcatel 735 allows making images with better quality, but of lower resolution. Special effects are also supported. If to compare the cost of Alcatel 735 with Nokia Fun Camera and Nokia 3100, it results that Nokia’s offer is more expensive (by 50$). At the present Nokia Fun Camera has certain demand as any novelty. But in reality it’s a 1 day accessory, its sales will be minimal. 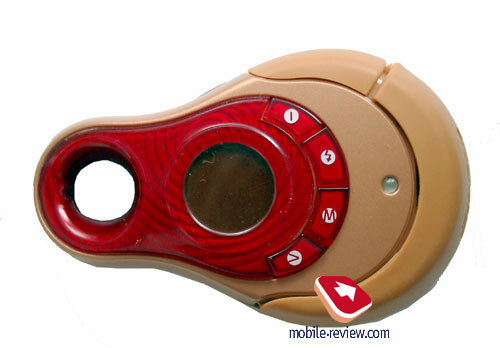 In the near future will appear Nokia 3200 with built-in camera and the price for it will be rather moderate (240$).